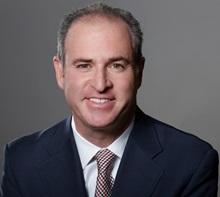 Groban, 45 and a Los Angeles resident, has served as senior advisor to Brown since he took office in 2011. He has overseen the appointments of more than 600 judges, according to the announcement. Prior to joining the Brown administration, Groban was an attorney at downtown law firm Munger, Tolles and Olson from 2005 to 2010 and at New York-based law firm Paul, Weiss, Rifkind, Wharton and Garrison from 1999 to 2005. He currently is a lecturer at the UCLA School of Law. Groban was nominated to replace Kathryn Werdergar, who retired from the state Supreme Court in August 2017. The nomination next goes to the State Bar’s Commission on Judicial Nominees Evaluation and then to the Commission on Judicial Appointments for a confirmation hearing.